Always love seeing these random design snippet’s from the ever increasing fountain-of-knowledge, in this case the ‘snippet’ is the Pantone Colour References for Star Wars Character Boba Fett. 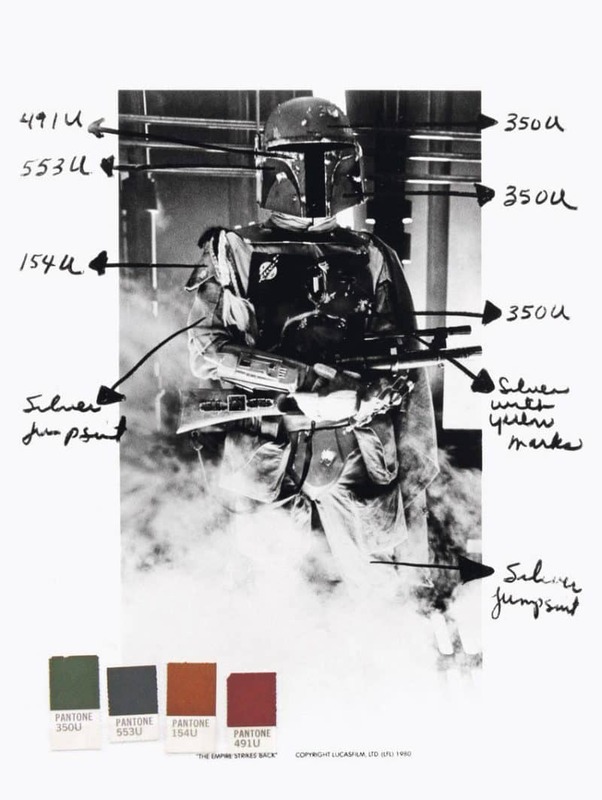 Daniel Gray: “Flicking through the enormous and fantastic The Making of The Empire Strikes Back, I stumbled upon this little curio: Pantone references for Boba Fett’s costume, provided by ILM for the licensing branch of Lucasfilm. Presumably similar guidelines were drawn up for other characters. What specific shade is Yoda? What are the colour refs for all of the lightsabers?